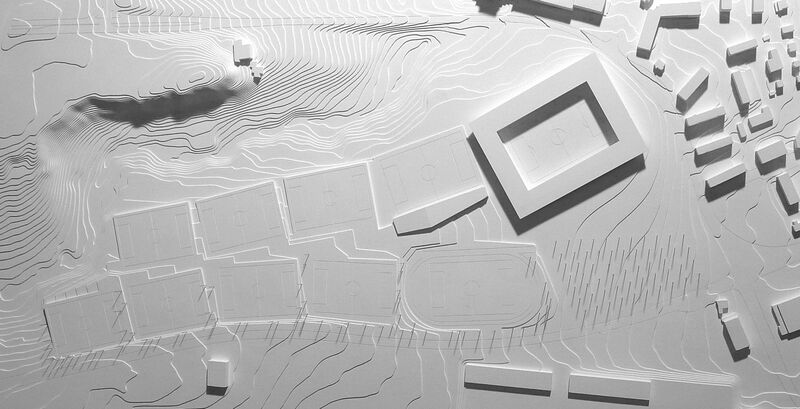 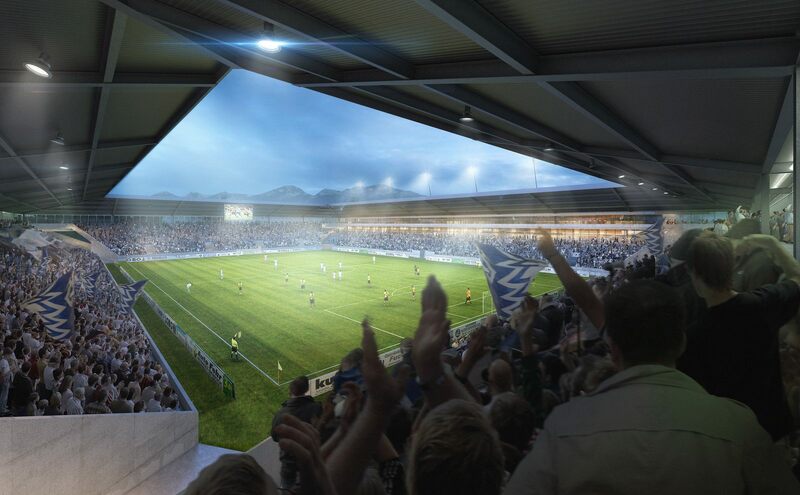 The winning concept for Lausanne’s new football stadium combines simplicity with innovative approach towards organising the semi-open space under stands. 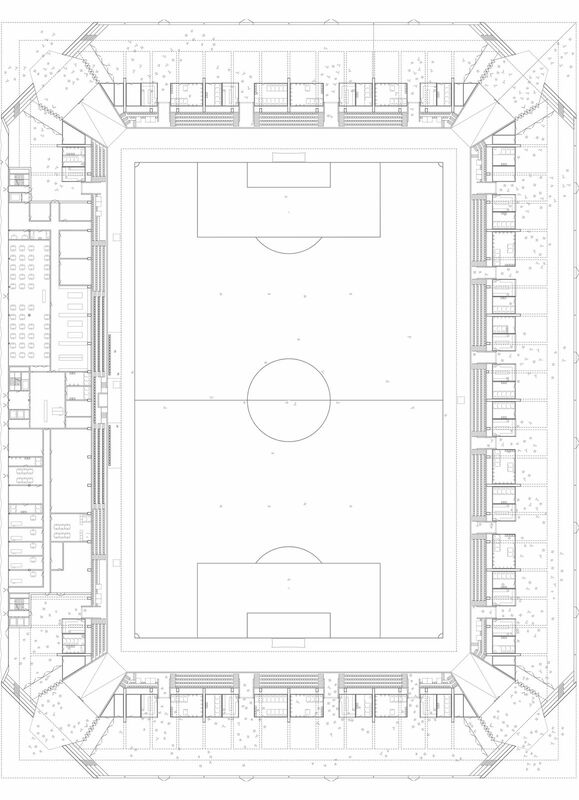 MLZD and Sollberger Bögli plan foresees the simple 12,000-capacity stands enclosed in a rectangular outer form. 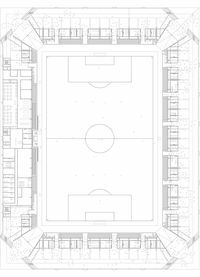 Also kept simple, corners of the outer shape will be impressively cut, making the stadium visually lighter despite its rough concrete feeling. 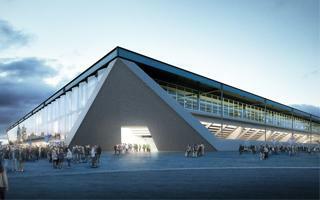 Together with stands visible from outside (no vertical supports, only diagonal), the cut edges seem to uplift the stadium. 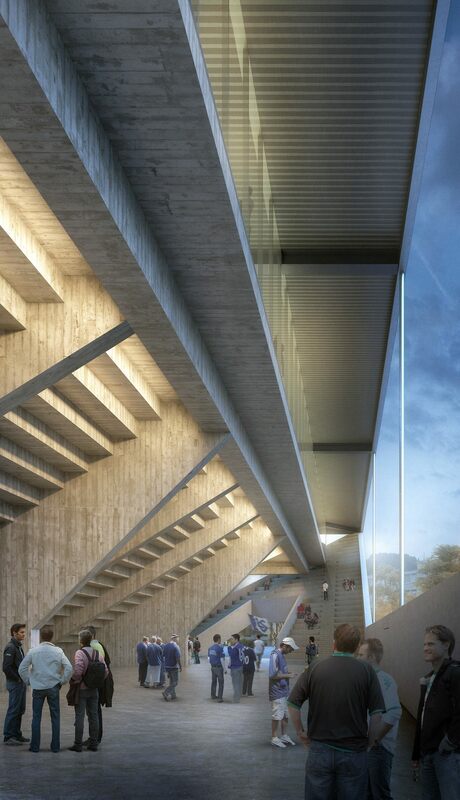 At the same time all edges constitute main entry gates inside. 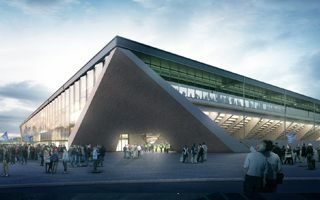 And after entering fans may realize that there’s more use to them – the concrete slabs will also serve as stairways and public plazas to sit on during breaks. 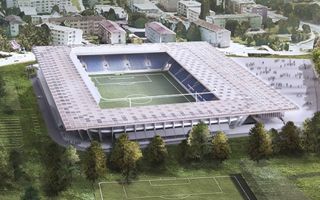 This fresh approach won’t come at an irrational price, though the new home of Lausanne-Sports won’t be the cheapest in its size too. 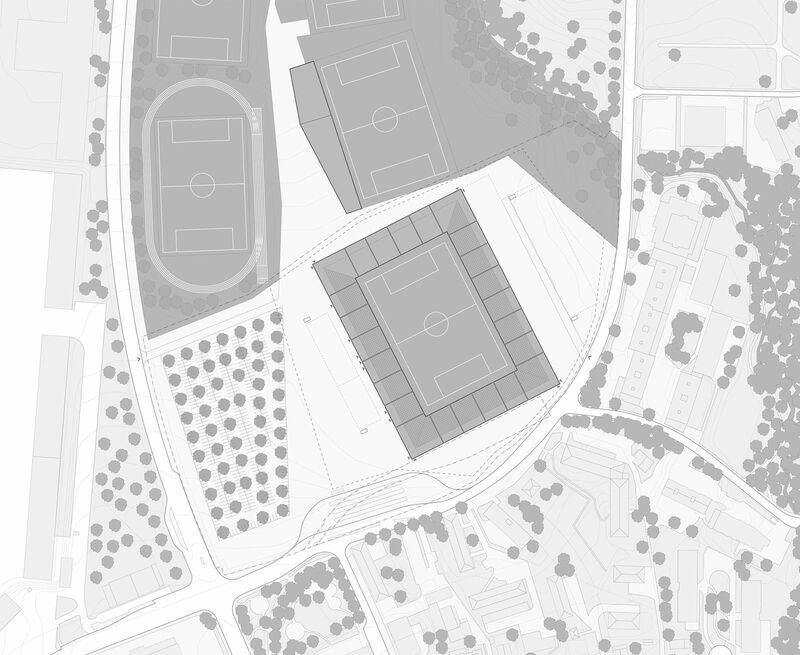 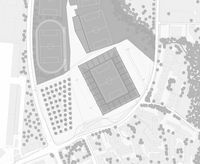 The €70 million stadium is expected to be delivered in 2019 in northern Lausanne, where the dense urban fabric of the city meets more rural landscapes.